Kirsten Powrie read Social Anthropology & Art History at the University of Sydney, Australia. She later converted to law and completed the Legal Practice Course with distinction at the London Metropolitan University. Kirsten joined the firm in 2011 as a senior immigration caseworker. She is now a qualified solicitor and supervisor at the firm. 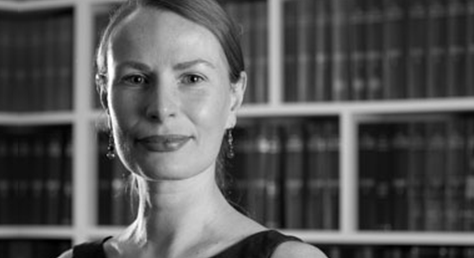 Kirsten specialises in immigration, asylum and human rights law, advising legally aided and private clients. She has extensive experience working with highly vulnerable migrants and a particular interest in representing young people and former victims of human trafficking, as well as immigration-related judicial review challenges. Prior to joining the firm, Kirsten worked as a team leader and appeals caseworker at the Refugee Legal Centre, which included advocacy before the Asylum and Immigration Tribunal (as it was then). She was also a project co-ordinator and legal officer for the Asylum Support Appeals Project, which included advocacy before the Asylum Support Tribunal. In 2008 Kirsten volunteered for a year as a Trafficking Prevention Project Co-ordinator for a local NGO in Cambodia specialising in children’s rights. Kirsten has invaluable front line experience in protection work which she draws on to inspire her legal work in the UK. She is a member of the Anti-Trafficking Legal Project, has volunteered with HIV charity Body and Soul, and is an active supporter of UK Lesbian and Gay Immigration Group. Interests: Hiking, kayaking, and travel.